St.Joseph’s College,Devagiri is leading in the ongoing Calicut University Inter-zone festival. Devagiri scored 28 points while Farook College has earned 25 points. Govt.Victoria College,Palakkad is in third position in lead with 20 points . Off-stage events are progressing in the second day of the fest. 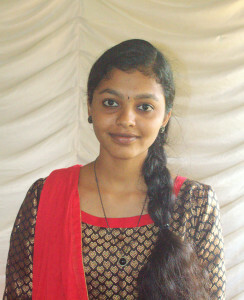 Saranya Venuogopal has won first prize in Sanskrit Elocution.She is a sixth semester student of Applied Electronics , Govt.Engineering College,Kozhikode. Saranya studied Sanskrit up to plus two level. It is third time she is participating in this event. She got second and third prizes , respectively in the last two years’ inter-zone competitions. She says Sankrit is a great language and we have to realize its positive potentials. ‘Western countries like Germany is promoting this language ,immensely.’-she added. This News was posted on Tuesday, May 9th, 2017 at 11:32 am and is filed under City Talk.